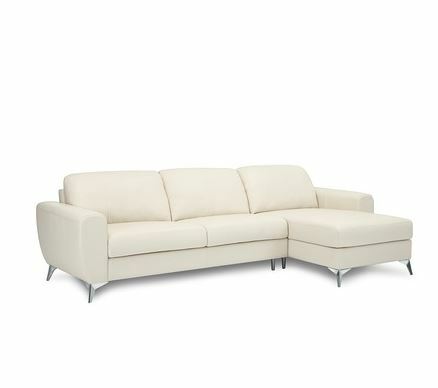 Beautifully designed white modern sofa with plush cushions and rounded edges. Tapered metal legs add an extra flare! Available in Leather and Fabric.